Steve Phelps knows the list well, as do most folks with even a passing knowledge of NASCAR’s history. As far as “short lists” go, this one is just about as exclusive as it gets, and today NASCAR announced Phelps as the newest member of that club — one that now is just five deep. 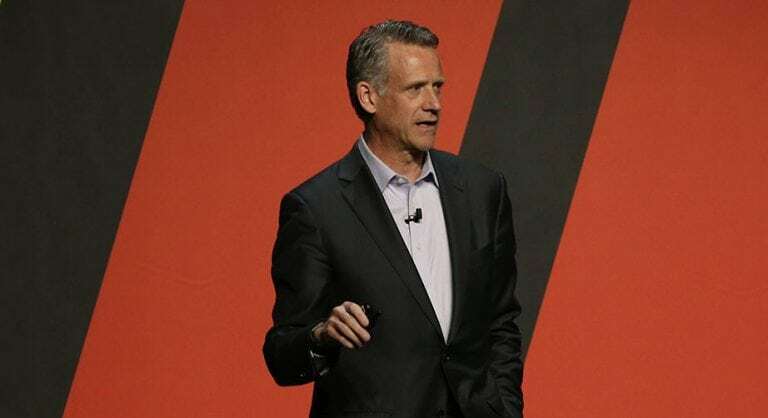 NASCAR today named Steve Phelps its President, an honor that left the lifelong fan at a loss for words. Phelps joins only four other individuals who have held the title of NASCAR President since the sport’s inception in 1948: Bill France Sr., Bill France Jr., Mike Helton and Brent Dewar. The post comes following — and in the midst of — a lifelong love affair with the sport. Phelps’ first NASCAR experience came at the age of 5, when he attended Catamount Speedway in his home state of Vermont. The track, then owned by NASCAR Hall of Famer Ken Squier, sparked a passion for racing that continues to the present day. Phelps’ intimate knowledge of the on-track competition has given him unique insight into what is necessary to move the sport forward. As a major proponent of the creation of such groups as the Driver Council, Phelps looks at the communal aspect of NASCAR as the key to its future success. Prior to his ascension to President, Phelps held a variety of senior leadership positions in NASCAR, including Chief Marketing Officer, and most recently, Chief Operating Officer. Throughout his tenure, Phelps has played significant roles in negotiating major partnerships with Coca-Cola, Monster Energy, Comcast and Camping World, among others. To Phelps, landmark deals with major companies are made for one reason: NASCAR has the most passionate fans in all of sports. It also is why Phelps has placed a high priority on growing the sport’s ability to engage with those fans through dynamic content. Phelps spearheaded the effort to reacquire NASCAR’s digital rights in 2013, which led to record growth in the digital, video and social media space – all aimed at stronger engagement with fans. Now stepping into the role of President, Phelps will look to continue the collaboration that he has helped shepherd, especially in recent years.